Everything is ready for ultimate chapter of 15th Men’s ECL edition. Chartres ASTT and Fakel Gazproma Orenburg will fight for the prestigious trophy this Friday at France (19h00 CET) and in rematch at Russia on April 26th (12h20 CET). This it the first ever French-Russian final. Both clubs have played very confident during the season, but Russians are considered as a favorite. Last year they played one against another in the semis and Orenburg managed to get the final after two very close games (twice 3:2). Chartres` Robert GARDOS was just one set to bring the 3:0 win at Orenburg`s rematch, but Alexey SMIRNOV succeeded to stop him. Chartres` president Loic BREHU already said that his club has capacity to extend its dream in Men’s European Champions League, adding that 1st leg at ROSSKOPF Sporthall will determine the champion. Russians are preparing last couple of days at Dusseldorf, having Borussia for sparring partner. All three players from their line-up are former Borussia`s members. Vice-president of Russian champion Victor ANDREEV said that he expects very hard battle in both games. “We’ll see the two strongest European teams in the final. We are preparing for a very serious fight. There are no secrets between us, because we played against Chartres ASTT in the semifinal last season. The winner could not be determined until the end of returning match”. ANDREEV shares BREHU`s opinion that first leg will be decisive one. “Now all our players have training sessions in Düsseldorf, where they try to simulate a game against Chartres. We are determined to win at France, which will give us a good chance before the second final match in Orenburg”. 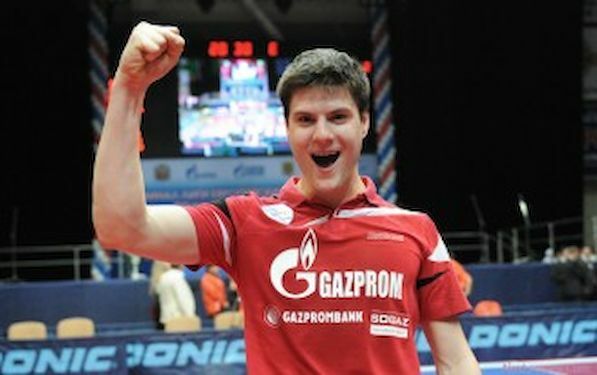 • All six players from two line-ups are placed among the best 72 on ITTF World’s ranking list: Dimitrij OVTCHAROV no. 7, Vladimir SAMSONOV no. 11, GAO Ning no. 14, Robert GARDOS no. 32, Alexey SMIRNOV no. 60 and Par GERELL no. 72.